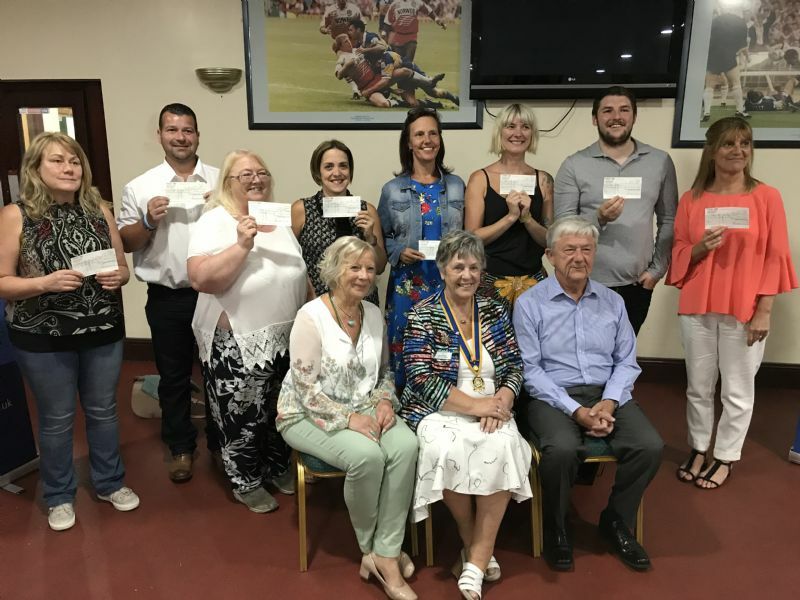 Recently Eight local community groups met with members of Wigan Rotary Club on Wednesday night to pitch for up to £500 each. Groups ranged from football teams to a Samba Band; from young peoples drama and dance sessions to a therapy group for MS sufferers. In announcing that all groups had been successful in their bids, President Gwyneth Millard commented that the one common factor amongst all the applicants was the sheer unbridled enthusiasm shown by those who pitched for their share of the money. She wished all of the teams continued success. A full list of the donations together with more information about the work of Wigan Rotary Club can be found on their website.